If you are not sure what the thatch situation is on a site you manage, go take a look. Take a trowel, pocket knife, or soil probe, and poke around. 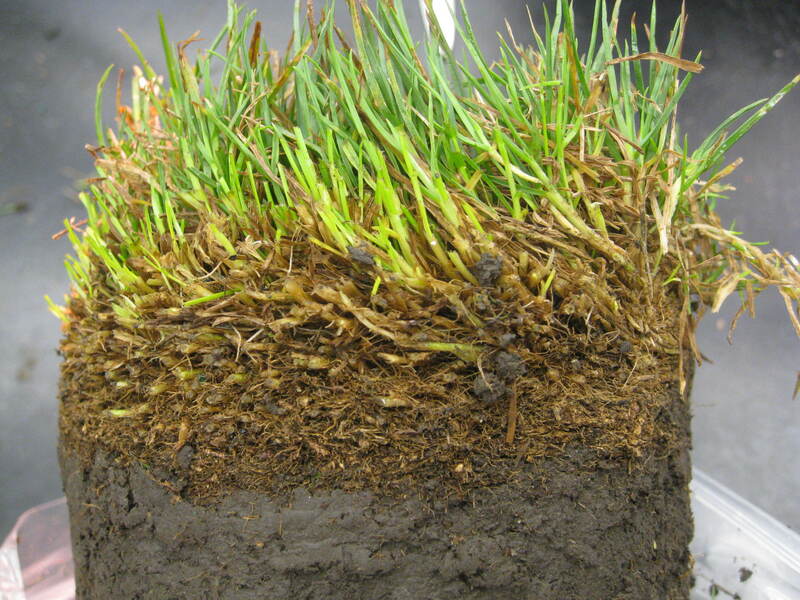 If it’s starting to build up in your cool-season turf, take action now. You don’t want a thatch problem to bite you in summer 2018. 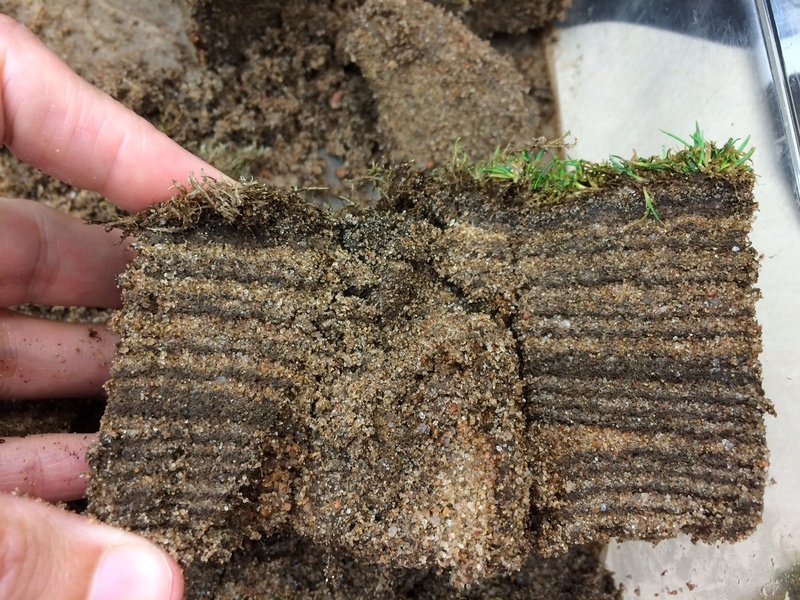 Similarly – does your putting green soil look like a layer cake? 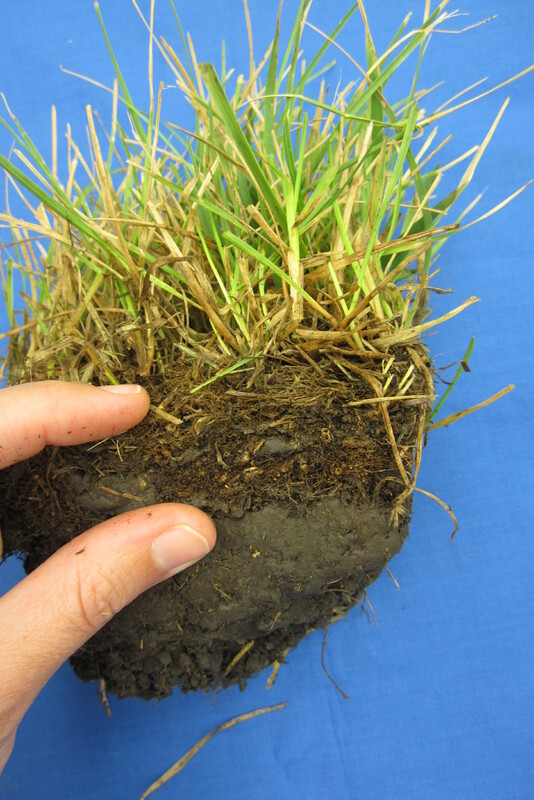 As we’ve said before here, a suboptimal rootzone is a pre-existing condition in putting greens. Take advantage of this great fall weather to do all you can to promote healthy roots in 2018. It was greasy, it was mushy, and after “a night in the box” there was classic Pythium mycelium. 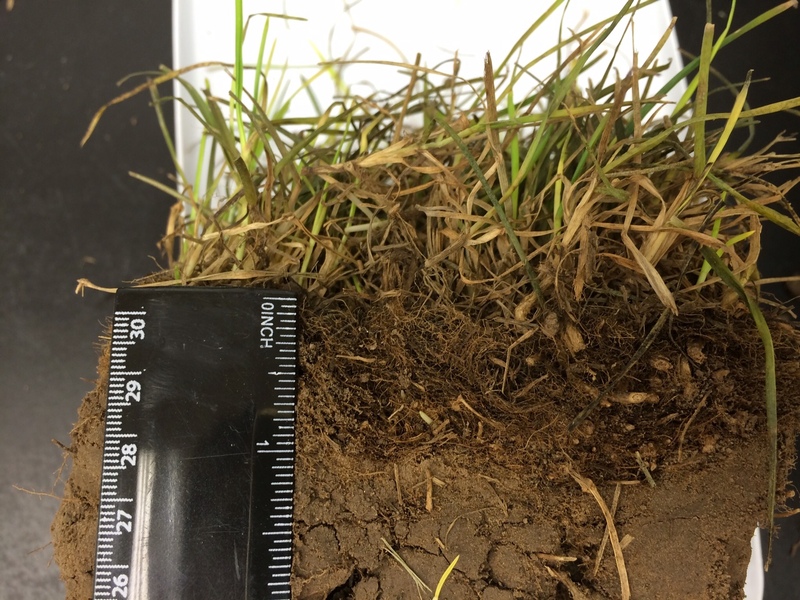 Foliar Pythium is rare on tall fescue lawns, usually coming in during very wet weather on sites that have received a little too much water and perhaps a little too much N. When this one came in, it was after one last blast of some heat, but with cool, cool temps on the horizon. Now that we are coming into this nice, consistent cool weather it’s really too late to consider fungicides, and instead we can concentrate on fall renovations AND tweaking cultural practices to help reduce disease risk next year. 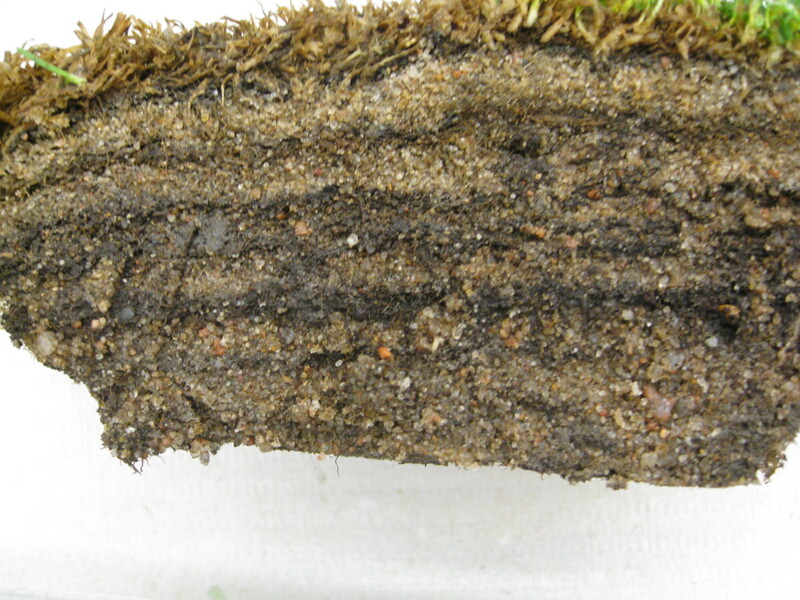 There was also a last hiccup of brown patch from a golf course fairway. Same story – with lows in the low 60s and even 50s, those diseases should stay quiet and hopefully we won’t see them until 2018. 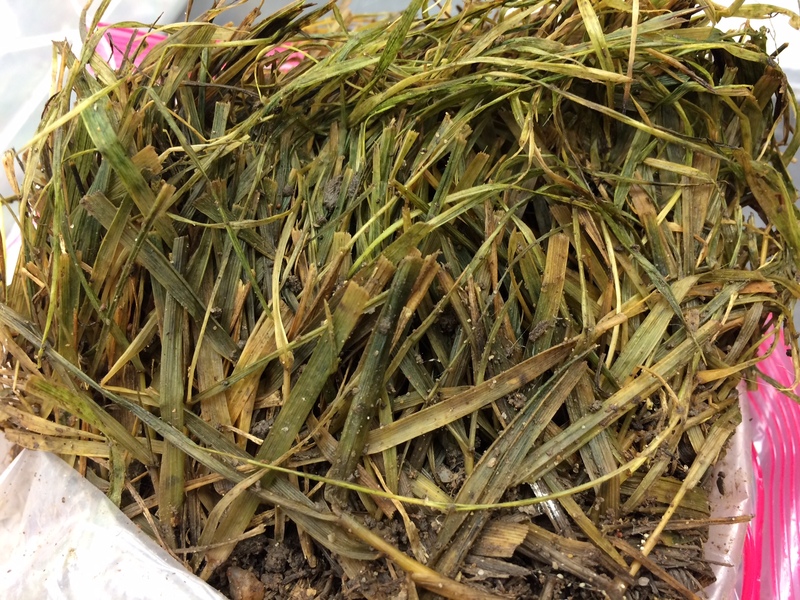 Next door in Missouri, Dr. Miller is reporting some continued sightings of Pythium root rot (which is different from foliar Pythium) and basal anthracnose. I would agree we are not out of the woods yet. You can see his photos HERE.